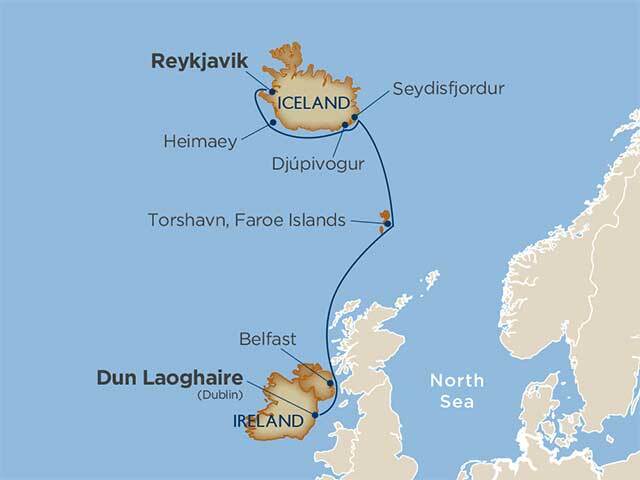 Take advantage of long summer days and natural destinations inaccessible to large-vessel cruise lines during this 8-day cruise featuring popular Irish landmarks and Iceland’s remote and pristine ports. Stroll the cobbled streets leading to Temple Bar’s pubs, museums, and shops prior to departing from Dublin. Explore Belfast’s interactive museum dedicated to building the Titanic, fitted and launched from here in 1911, or wander Victorian shops and narrow lanes in the shadow of High Street’s Albert Clock. Hop across hexagonal basalt stones on the Giant’s Causeway. Stroll rainbow walkways in Seydisfjordur, a brightly painted village on Iceland’s east coast and gateway to the Skalanes Nature Reserve—a sanctuary for over 40 coastal bird species. Admire the tenacity and longevity of Djupivogur, a tiny port on Iceland’s southeastern coast that endured for five centuries as a European trading post despite never having more than 500 inhabitants. Capture the visually stunning, turquoise-tinged ice floes crowding the nearby Jökulsárlón Glacier Lagoon. 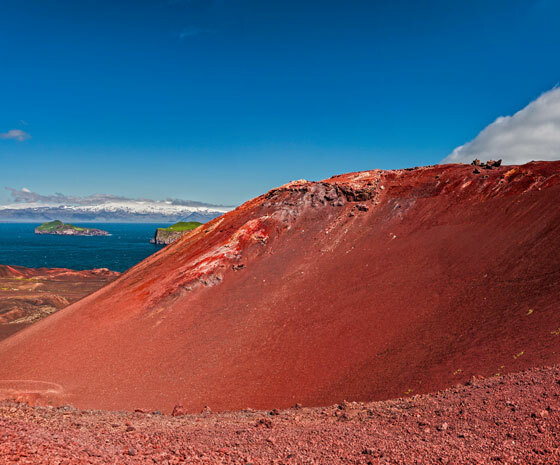 Circumnavigate Surtsey Island, a 500-foot-high island that formed during a volcanic eruption in 1963. 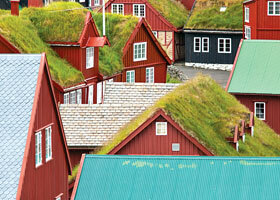 Take a walking tour on Heimaey Island, home to 4,500 inhabitants and an estimated eight million puffins every summer. This remarkable journey concludes in the Icelandic capital of Reykjavik, where you can take in city views from open windows atop the steep spire of Hallgrimskirkja, or walk along the waterfront trail in the pink-hued twilight shortly after midnight.